My husband and I were looking for a costume which would be unique and also, stray away from the mainstream costumes marketed to young girls. As our daughter is named Amelia, we chose Amelia Earhart. We liked that she is a prominent female historical figure and she that shares the same first name as our daughter. Another big deciding factor was that we could make this costume warm since we live in Wisconsin. 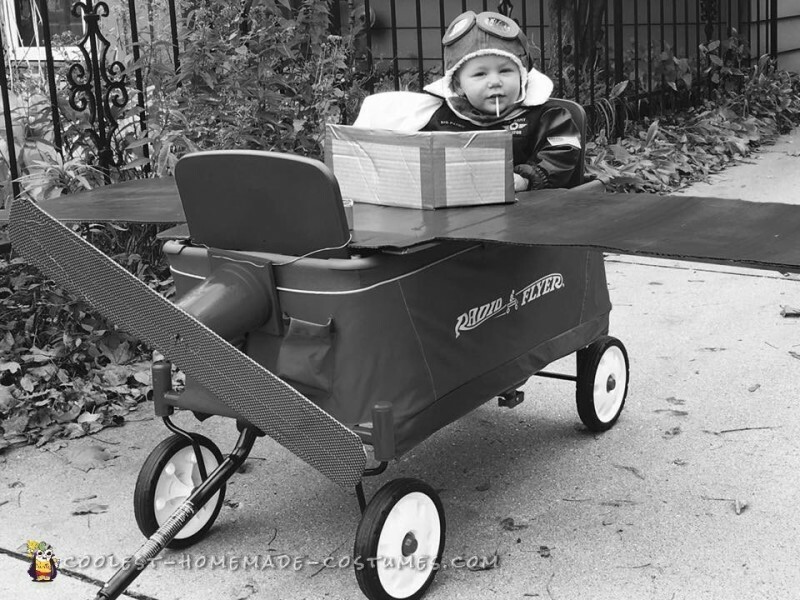 Thus, we began constructing our toddler Amelia Earhart costume. In order to put her outfit together, we bought all of the pieces separately. We purchased a bomber jacket, riding pants, black boots, white flying scarf, and a bomber pilot hat with goggles. For the airplane we took her red wagon we already had and added to it. 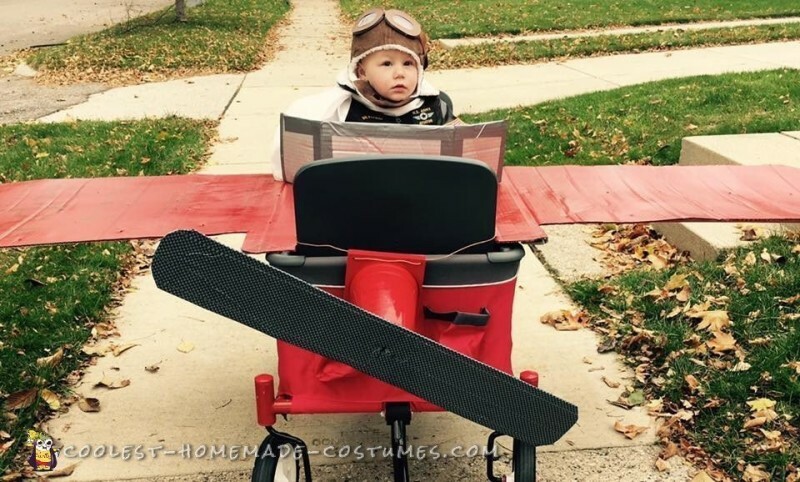 Then, my husband used cardboard spray painted red and made the wings which balanced on top of the wagon. In addition, the window is another piece of cardboard held on with duct tape. In order to make the propeller, we started with a red solo cup as an anchor. Then we spray painted and affixed it to a small board. We then used additional cardboard cutouts covered in duct tape along with it. Next, we glued it to the cup. Finally, we used a wire attached to the under side of the board to hold this to a seat in the wagon so that we could keep it in place! People loved this costume! We heard comments from “very creative” to “how unique.” Many asked how we came up with this. Even more were impressed that this was not a conventional costume for a young female toddler. 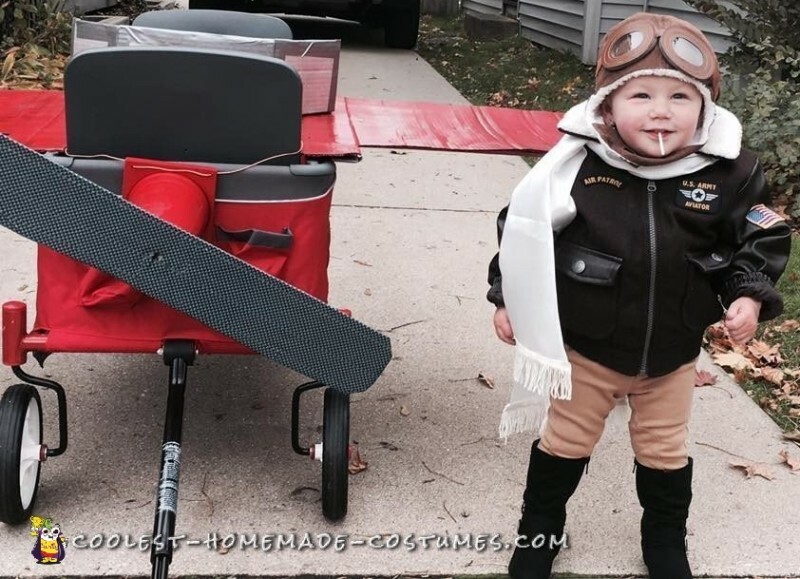 Thankfully, this Amelia Earhart safely landed after her trick or treating flight!